Of the many things England is known for, curry is one of my favorites! There’s no curry like a British curry. I’ve dabbled in curries over the years, but my trips to England have turned curry into an obsession on par with my falafel obsession of years past. After many disappointing attempts at recreating British curry house food at home, my research led me to a Eureka moment… if you want to cook British style curry, stop reading Indian cookery books! There’s a whole genre of cooking known as “BIR” or “British Indian Restaurant” cooking, and there’s an entire subculture and online forums dedicated to it. This is the secret to making British style curries at home. 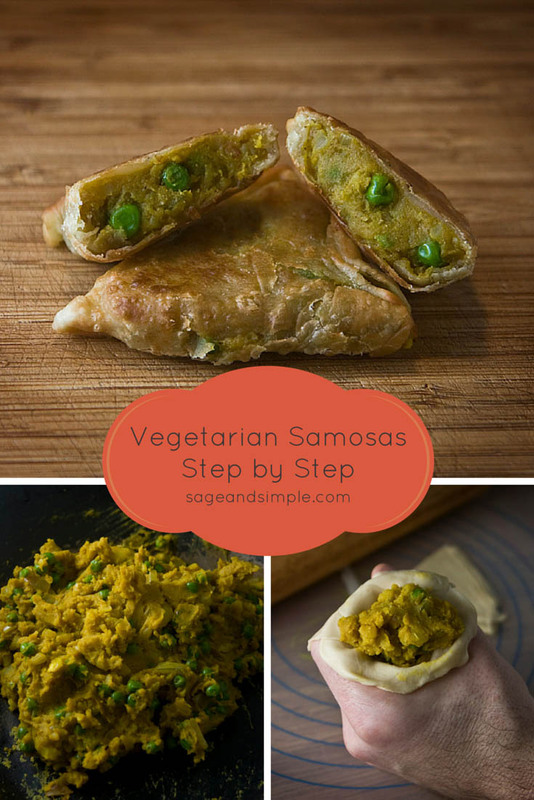 I’ve mastered jalfrezi, madras, biriyani, korma, and this vegetable samosas recipe. 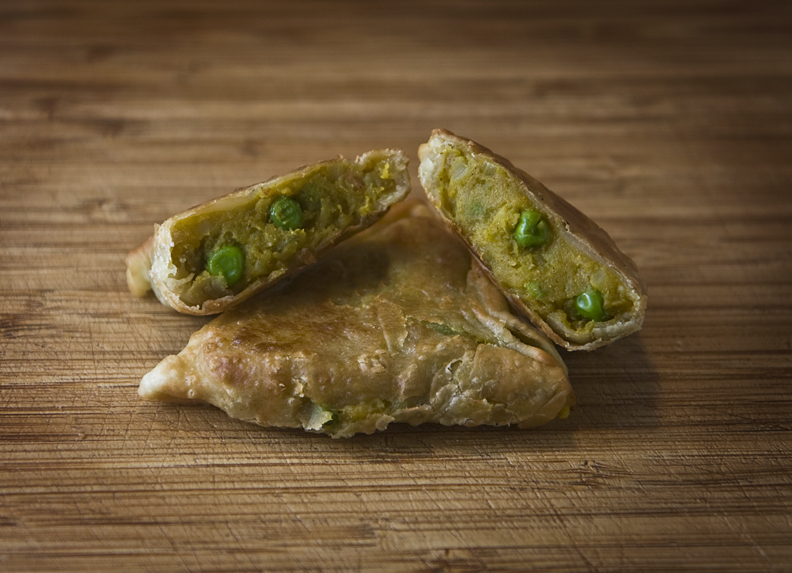 I’ll tell you about the curries in future posts, but today, I’m going to share my vegetable samosas recipe and show you how to make vegetarian samosas that are as good as anything I’ve had from an Indian takeaway. 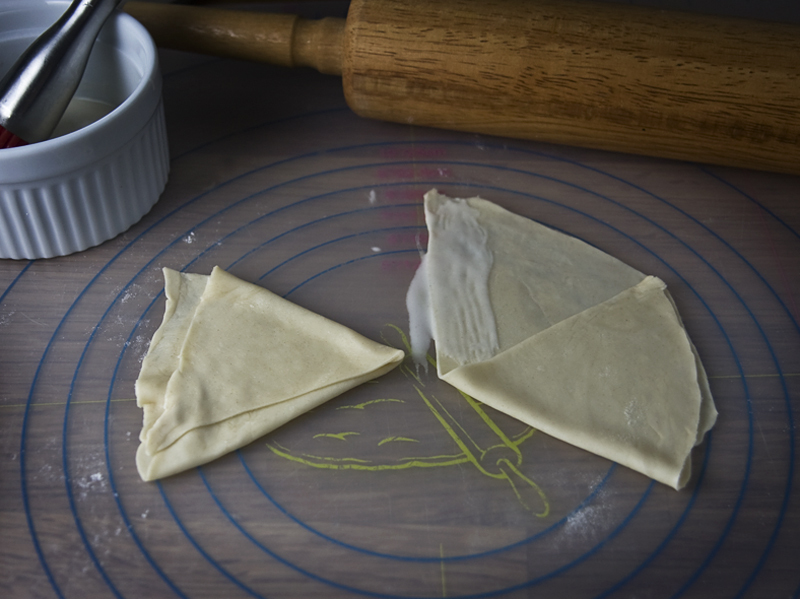 First you’ll need to make a dough… a popular internet myth is that you can use puff pastry to speed things up. This is a lie. I’ve never had a takeaway samosa made with puff pastry. Combine the salt and flour in a small bowl, add the olive oil and stir or mash it with your hands until it becomes a breadcrumb-like texture. Make a well in the middle, stir in 5 oz of the water and knead the mixture into a stiff dough, adding additional water as needed, a teaspoonful at a time, until the bowl is clean and you’ve got a nice pliable dough. Let the dough rest for an hour or so. Boil the potatoes until tender, then mash and set them aside. Mix together the spices and set them aside. Heat a bit of oil in a wok over medium-high heat. Add the onion and sauté it for two minutes or so, then add the ginger-garlic paste. 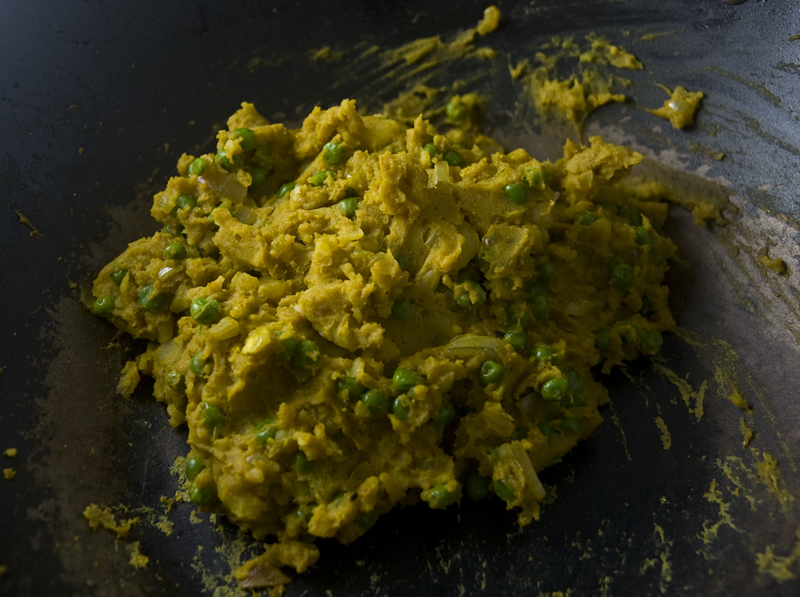 Sauté that for another minute or so, then add the peas and cook them for a few minutes, until they’re heated through. Reduce the heat to low, add the potatoes and the spices and cook for another 5 minutes. Keep stirring it to avoid sticking, but if the potatoes start to stick, add a bit of water as needed. Let the mixture cool. 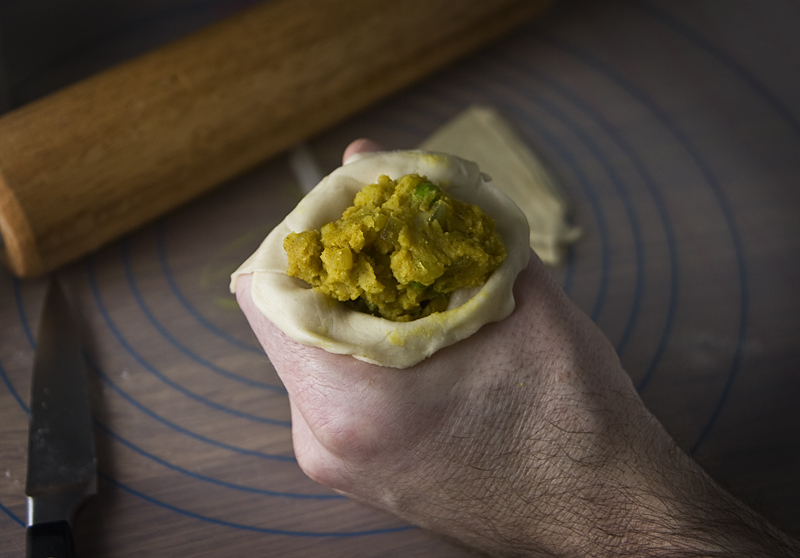 When you’re ready to assemble the vegetable samosas, combine 1 T flour and enough water to make a thin paste, then roll out the dough on a floured surface into 8-9 inch circles. 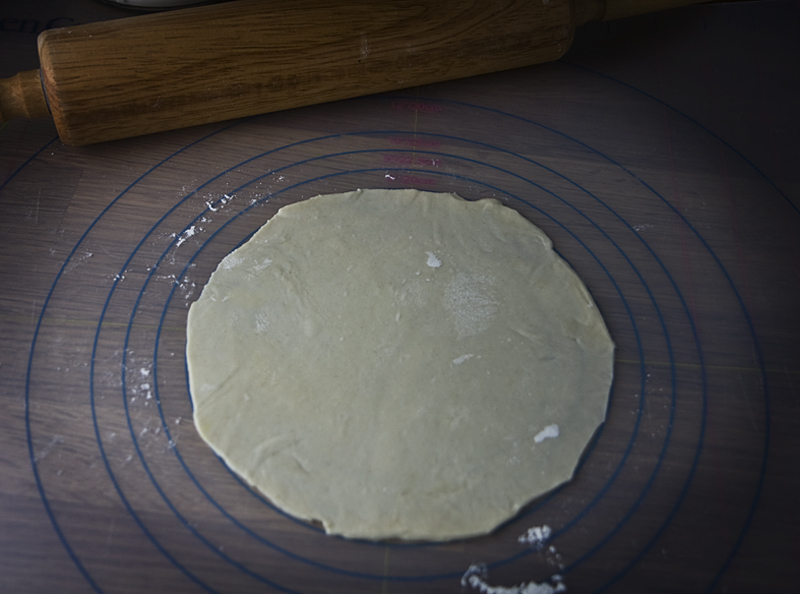 You’ll need 45-50g of dough for each circle. As each circle is finished, lay it in a heated frying pan on low for 2 seconds on each side. It may seem unnecessary, but do not skip this step because it makes the dough easier to handle when filling it. Cut each circle in half, brush a bit of paste across the flat edge, and fold it on the diagonal to form a little cup. Gently fill the cup, packing down the filling, then brush a bit of paste around the top of the cup and pinch it closed. You should have enough for about 16 vegetable samosas. Shallow fry the vegetable samosas in a wok over medium heat until they’re golden brown on both sides, then drain them on paper towels. *Spice mix is one of the cornerstones of BIR cooking, there are as many variations as there are chefs. Here’s a simple one to get you started… it makes quite a bit, so you might want to consider halving the recipe. Oh my goodness these sound amazing. found it on Merry Mondays. Oh My! It looks like you did a good job with your recipe! We are so glad you shared with us at Merry Monday! We can’t wait to see your creativity next week! These look delicious and are not on my list to try Sage! 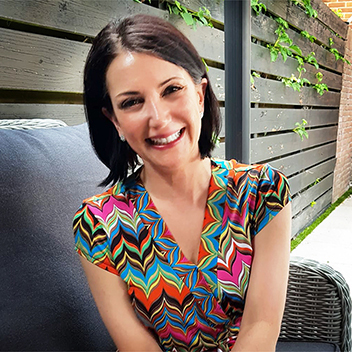 Thanks for sharing with the Say G’day Party! Pinned Look forward to seeing you next week!